"A great day for peace"
It's a pretty dumb thing for Trump to have done, which is likely why he did it. This move was mandated back in the 90's when US Congress approve it and Clinton sign the bill. Trump just complete the mandate and cut the 6 month BS paperwork. It's a matter of timing and what's best for peace. Clinton, Bush and Obama all postponed the move every six months while President. Every six months... 1. He did it not because it was appropriate, but because it would make headlines and show his supporters he was "doing stuff." His motivations aren't for peace in the region, just using lives to gain "ratings." Usenko wrote: ...In short, it's two groups of people that have been put into a difficult situation, not entirely of their making, and violence is a regrettable (but perfectly human) response. TLDR at the bottom, of course! I agree and think that people need to understand more about this issue. The commonly understood history of this problem goes back to the defeat and appropriation of the Ottoman Empire during a time when several European powers were still interested in their own "Empires." Conflict had been an ongoing issue, to varying extent, in Europe for centuries. With the various Treaties of Westphalia 1 European powers had somehow found a way to persuade each other from going to war without actually going to war. Some horrible conflicts were ended by groups of diplomats, not battlefield victories. At least until people got tired of being ruled by Kings. But, the energy put into such intricate diplomatic negotiations, carried out largely on horseback and wagons, with diplomats far from home and sometimes left to solve problems on their own, didn't get similar application outside of Europe. Well, that's pretty easy to figure out, right - Europe was concerned about Europe, even if its power stretched into other lands. But, the creation of the states of Israel and Palestine began before World War II, with various powers like Great Britain, the League of Nations, France and other Eur0pean powers as well as the Ottomans, as early as 1917. 1 As intentions to create both Israel and Palestine became clear and borders were being determined, radical differences in various census conducted demonstrated populations emigrating into/within the region, likely attempting to establish ethnic dominance and influence the creation of the states. The creation of Israel is intrinsically tied to the creation of Palestine and this has been in progress since 1917, through two World Wars, both of which severely complicated matters, and has been further mired in the imperial expansion of various European powers in the interim period, at least as recent as the 1970's, all of which has resulted in populations being notably distrustful of any and all outside powers, since outside powers have had their fingers in the region since long before, and continuing through, the various World Wars that have included these regions. In short, the TLDR is - This is an old wound that has never been stabilized long enough to cure. This region only experienced any semblance of what could remotely be called geopolitical "stability," largely due to people in the region not concerning themselves very much with declaring sovereignty, during the days of the Ottomans. That collapse and subsequent power-vacuum and influx of European powers further destabilized any hope for fully carrying out intentions that had been very, very, clear since 1917 for the creation of Israel and Palestine. In recent history, relative stability has been achieved, but only through intense efforts by none other than the European (And, today, American) powers that had previously sought to exploit the region. But, that "history" has left its mark on local states/peoples, with memories of Imperial exploitation as well as broken promises. 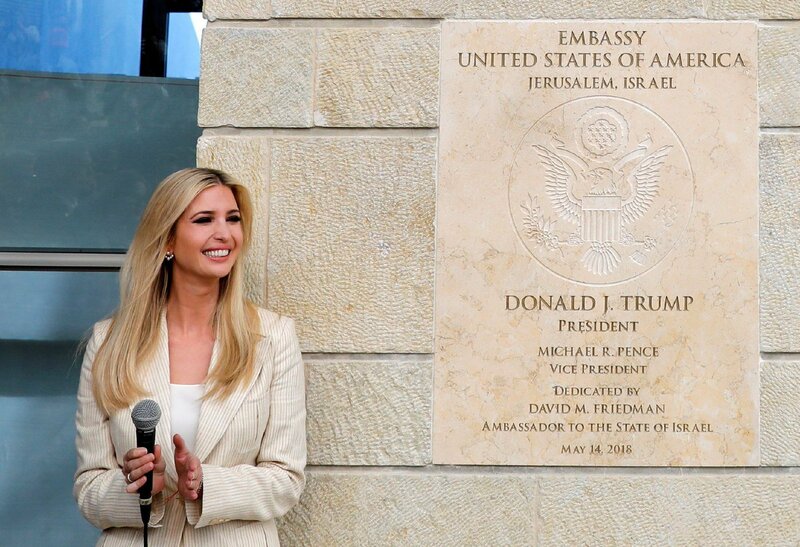 While I strongly support the sovereignty of Israel, I have to point out that the Palestinians have been waiting for the promise of their country to be "created" for over a hundred years. Morkonan wrote: While I strongly support the sovereignty of Israel, I have to point out that the Palestinians have been waiting for the promise of their country to be "created" for over a hundred years. I would like to point out that, the current predicament of the Palestine are owned much to their allied Arab states rather than Israel itself. People might have all forgotten now, but most of their immediately neighbors (Syria, Egypt, Jordan) did NOT want a Palestine state, rather they much refer to annex part of the territory to their own land. Jordan (the most powerful army among the Arab back then) came pretty close to sign a non-aggression pact with Israel in the original accord as long as Israel agree to stay out as the Arab powers butcher and decide the Palestine half into their own nation. Frankly, if they were truly united and authenticated in the wish of creating a Palestine state with all original territory (like they often claim now), Israel would have been wiped out in the first Arab-Israel war. But it's their scheming and divisiveness that allows Israel to buy time and maneuver for a come back. And who know, even if the first war was concluded in the Arab favor, somehow I seriously doubt the Palestine would have gotten their wish. Frankly, if it's only up to Israel and Palestine alone, the 2 states resolution probably would have been realized a long time ago. I don't understand how this is allowed to happen. And I don't understand how a people who suffered such terrible oppression can become such terrible oppressors in such a short space of time. It's not hard to understand as long as one is willingly to look at different angle and recognize different PoVs. It's often say life experience will define a person, that much is true, but what people forget is the same experience does not necessary shape the same personality. A self-made man working hard to escape poverty on his own might grow compassionate and afford others the opportunity to be sparred from the same hardship, but another person going through the same experience may believe in self-determination and true grit, saying "if I can do it, then you can do it too". Both will have their logic and rational, and both will be right with others agree or disagree. The case of Israel, like I said it's NOT hard to see their stand. I don't say you have to agree with what they're doing, but it's not hard to understand the why. I don't think anyone of us here can imagine the pressure of living in an environment where you are surrounded by enemies. To us, as bystanders we can see what Israel is doing as drastic and paranoida, but that's because we're NOT them. I think if people only criticize Israel for what it is doing now, then often they have forgotten the history behind it. It's not like Israel haven't tried, but every time they take a step forward, they were met with disappointment. - They offer Sinai and Golan for peace, the Arab replied with the Khartoum Resolution: no peace with Israel, no recognition of Israel, no negotiations with it. - They withdraw from the Gaza strip to Palestine as a the first implementation, but Hamas immediately turned it into a staging ground to launch rocket into Israel holding, and use it as a supply point to smuggle in more weapon. I beg you to come up with ONE good reason for why Israel would cede any more territory in good will? - The Sinai and peace with Egypt is a proof that Israel WANTs peace, and will take it if they're sure it will be honored. They give Sinai back to Egypt, and in return Egypt is the only country that sign a peace deal with it. Yes, there is the Camp David accord backing it too, but you have seen how often Israel goes out of their way to ensure the deal is hold from their end. To ask Israel to cede everything back ... you might as well ask them to disband their army. And if you say "if Israel do it then peace will come from the Arab league", then no, they have repeatedly proven that their words is to be taken as lightly as the air they're uttered to in this conflict. It's like receiving an ultimatum from a seizing army demanding: if you disband your army then we will withdraw ... seriously, who would be that stupid? I bet nobody, and yet somehow people think Israel should just do it. So each and everytime you question Israel motive, remind yourself of this: you are not living in a country with a constant threat of extinction. And that threat wasn't rhetoric, it was attempted, just failed. But imagine if you know someone had tried to murder your family before, even though attempt failed, ask yourself how much chance you are willingly to take with the would be murderers? If you can find your own answer in that scenario, then perhaps you'll find the answer you seek in this conflict. Right you are! I, admittedly, got a bit of "tunnel vision" in that post, neglecting to acknowledge that the power-vacuum has been exploited, with many various attempts, by everyone in the region who could. Everyone has tried to assert some form of dominance or control over the issue. That is not necessarily unexpected. Any nation seeks to preserve itself and its interests. But, the methods... The methods many have used take advantage of very basic issues and concerns and turn them into volatile responses. But, nations have taken "standard" approaches, too, from diplomatic to military. The thing is, I think we can learn from all the problems in the Middle East - Diplomacy interspersed with Military Action does not yield good results, even if the threat of failed diplomacy is, indeed, military action... IOW - One of the two needs to go in order for one to "work." I think we may know which one we would all prefer to be successful. Allegedly Israeli snipers are now deliberately targeting medical personal. article linked above wrote: A Canadian-Palestinian doctor was shot in the legs by an Israeli sniper and one of his paramedics was killed on the Gaza border Monday as clashes between Palestinian protesters and Israeli Defence Forces left dozens dead and more than 1,000 wounded. Dr. Tarek Loubani, an emergency physician from London, Ont., who is also an associate professor at the University of Western Ontario’s medical school, joined medical teams on the Gaza border Monday to care for Palestinians who might be injured in demonstrations against the inauguration of the U.S. embassy in Jerusalem. Dr. Loubani, who has served as an emergency field doctor in Tanzania and conflict zones such as Iraq and southern Lebanon, said he was wearing a green surgeon’s outfit and standing with several orange-vested paramedics about 25 metres from the protests at the border when he was hit. 1. - Freedom from disturbance; tranquillity. 2. - A state or period in which there is no war or a war has ended. Ummmm, yeah. . . . No. Mightysword wrote: Frankly, if they were truly united and authenticated in the wish of creating a Palestine state with all original territory (like they often claim now), Israel would have been wiped out in the first Arab-Israel war. But it's their scheming and divisiveness that allows Israel to buy time and maneuver for a come back. And who know, even if the first war was concluded in the Arab favor, somehow I seriously doubt the Palestine would have gotten their wish. It still incredible Israel managed to survived the Arab-Israel war, they started out dramatically outgunned and and it took a rather significant amount of time for the US to correct and reverse that imbalance. . . more than enough for the Arab forces to have flattened them. Everything I've read has put this down to Isreali superior tactics and tenacity but you're likely correct that perhaps the Arab forces weren't as tightly focused as they should have been. The "what if" your proposing however is totally impossible to make any sensible guess at, WAY too many factors at play. Maybe it would be all sorted bunnies and rainbows, maybe the whole area would be glass. . . . who the hell could know. Exactly, it's called diplomacy, placate the Israelis by promising it, never actually follow through because . . . . well just have a quick look at the news over the last few days. Trump is an idiot with all the finesse of a bull in a china shop. clakclak wrote: Allegedly Israeli snipers are now deliberately targeting medical personal. Shooting to disable in order to lure others out of cover to help the injured then shooting them too was a pretty standard sniper tactic. . . . but I'm not sure how it would apply in this situation, my reading of it would be the sniper would have a positive wealth of targets, seeing as they're basically shooting into a crowd. More generally there thread of military thinking that a badly wounded enemy solider is preferable to a dead one. Both are rendered combat ineffective but the former also presents logistical difficulties for the enemy, I'd imagine this might count double if you shoot a medic. Bishop149 wrote: ...Exactly, it's called diplomacy, placate the Israelis by promising it, never actually follow through because . . . . well just have a quick look at the news over the last few days. And, that plaque. Oh... wow. I hope that we go the route of other "empires," with Pharaohs and Emperors removing and disfiguring the monuments of their predecessors. Hopefully, there will be a slew of Trump statues with their noses broken off... and dedication plaques melted down for plowshares. Just "wow." Hubris has a rival. That's just... messed up. Tactically, it's demoralizing. If the doc is out of the fight and the medics can't function, protestors know any injury may be their last. I just don't get the use of deadly force against "rock-throwers." Not there, didn't see it, so can't really say one way or another. But, shooting noncombat civilians like that, especially if the protestors aren't using lethal weapons, is just wrong. Neither I nor the article ever claimed they were trying to kill them. Remeber that they also shoot the football player from Gaza in the leg, you can see the soldiers and the distance they are away from him. They only fire a single shot and almost perfectly hit his knee, which makes me believe that there is at the very least a chance that they are trying to aim for the legs.